Master country-soul craftsman Dan Penn will treat guests to a rare Nashville performance and an in-depth interview on October 16 as part of the Country Music Hall of Fame® and Museum’s programming series Poets and Prophets: Legendary Country Songwriters. The 1:30 PM program, which will be held in the Museum’s Ford Theater, is included with Museum admission and free to Museum members. 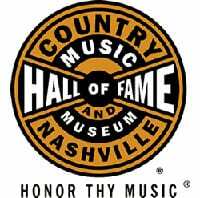 The program will also be streamed live at www.countrymusichalloffame.org. Museum Editor Michael Gray will host the 90-minute program, which will be illustrated with recordings, photos and film clips from the Museum’s collection. Immediately following, Penn will sign autographs in the Museum Store. Esteemed music journalist Peter Guralnick calls Dan Penn the secret hero of his book Sweet Soul Music, which chronicles 1960s era R&B. Penn, a Nashville resident wrote classics such as “Dark End of the Street,” “I’m Your Puppet,” “Do Right Woman, Do Right Man,” “Cry Like a Baby,” “Sweet Inspiration,” “It Tears Me Up,” “Out of Left Field” and many more. His songs have been recorded by everyone from country acts the Flying Burrito Brothers, Jerry Lee Lewis, Ronnie Milsap, Lee Roy Parnell, Charlie Rich and Hank Williams Jr. to R&B artists Arthur Alexander, Solomon Burke, Aretha Franklin and Otis Redding. While still in high school, he joined his first band, Benny Cagle and the Rhythm Swingsters, and met a young sax player named Billy Sherrill. Sherrill, who would become one of country music’s most influential producers, was impressed by Penn’s songs and urged Penn to follow him to Florence, Alabama, where a vibrant recording scene was emerging. Penn arrived in town with a hit song in his back pocket, “Is a Blue Bird Blue,” which was recorded by Conway Twitty in 1960. He soon signed a publishing deal with Rick Hall’s Florence Alabama Music Enterprises (FAME) and became the burgeoning studio’s first artist on its Spar label. His local popularity grew even more when he joined the Fairlanes, a high-energy R&B and rock group in the Muscle Shoals area. Later, Penn took his band, the Pallbearers, on the road in a made-over hearse, introducing the southeast region to his own soulful voice and musical fervor. In the meantime, Penn flourished as a writer, forging partnerships with fellow songwriters Donnie Fritts and Spooner Oldham. Penn scored a major hit (co-written with Oldham) in 1966 with “I’m Your Puppet,” which reached the Top Ten on the pop and R&B charts for James & Bobby Purify. 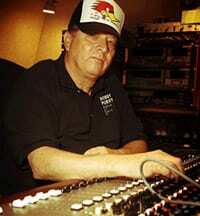 Penn moved to Memphis, Tennessee, that same year and became a chief writer, producer and musician at Chips Moman’s American Recording Studios. The studio cut over 120 Top 100 hits in the late 1960s. Penn and Moman’s “Do Right Woman, Do Right Man,” originally popularized by Aretha Franklin in 1967 and a country hit for Barbara Mandrell in 1971, is a standard that has been covered by the Flying Burrito Brothers, Brenda Lee, Willie Nelson, Kitty Wells and others. “Dark End of the Street,” also written by Penn and Moman, was a Top Ten R&B hit for James Carr before it was recorded by the Flying Burrito Brothers, the Kendalls, Linda Ronstadt, Gary Stewart, Porter Wagoner & Dolly Parton and other country acts. With writing partner Oldham by his side, Penn composed late-1960s pop hits for the Box Tops, including the smash “Cry Like a Baby” and the Top Forty “I Met Her in Church.” Penn also produced most of the Box Tops’ catalog, including their #1 record “The Letter” in 1967. Penn also co-wrote Percy Sledge’s “Out of Left Field” and “It Tears Me Up,” Arthur Alexander’s “Rainbow Road,” Barbara Lynn’s “You Left the Water Running” (originally demoed by Otis Redding), Clarence Carter’s “Slippin’ Around,” Solomon Burke’s “Take Me (Just As I Am),” Laura Lee’s “Uptight, Good Man,” and the Sweet Inspirations’ “Sweet Inspiration,” among many other time-honored compositions. Penn and his wife, Linda, relocated to Nashville in the 1970s. He released several critically acclaimed solo albums, including Nobody’s Fool (1972), Do Right Man (1994), Blue Nite Lounge (2000) and Junkyard Junky (2007). In 1999, Penn and Oldham released a live album, Moments from This Theatre. The same year, Penn worked with New Orleans R&B legend Irma Thomas on her album My Heart’s in Memphis: The Songs of Dan Penn. He continues to write and produce, and is currently playing live shows with renowned Memphis keyboardist Bobby Emmons. The Poets and Prophets series honors songwriters who have made significant contributions to country music history. Previous Poets and Prophets honorees include Bill Anderson, Matraca Berg, Bobby Braddock, Jerry Chesnut, Hank Cochran, Dean Dillon, Red Lane, John D. Loudermilk, Bob McDill, Roger Murrah, Curly Putman, Whitey Shafer, Jeffrey Steele and Craig Wiseman. The Poets and Prophets series is made possible by Ford Motor Company Fund. These programs are also made possible, in part, by grants from the Metropolitan Nashville Arts Commission and by an agreement between the Tennessee Arts Commission and National Endowment for the Arts.